After you install the Module for SharePoint Testing on a computer running WAPT or WAPT Pro Workplace, you will be able to test web applications based on SharePoint platform. The Module for SharePoint Testing has a special function $RequestDigest which can find any of these Request Digest values in server responses and automatically parameterize them. The Module for SharePoint Testing extracts the Request Digest value from the DigestValue block. The Module for SharePoint Testing extracts the Request Digest from the FormDigestValue property. 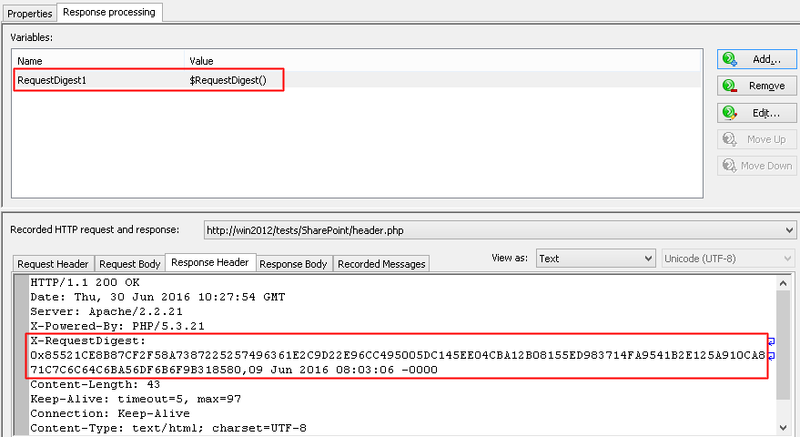 In this case you will see the Request Digest values in the code of server response in the following way: |__REQUESTDIGEST|. 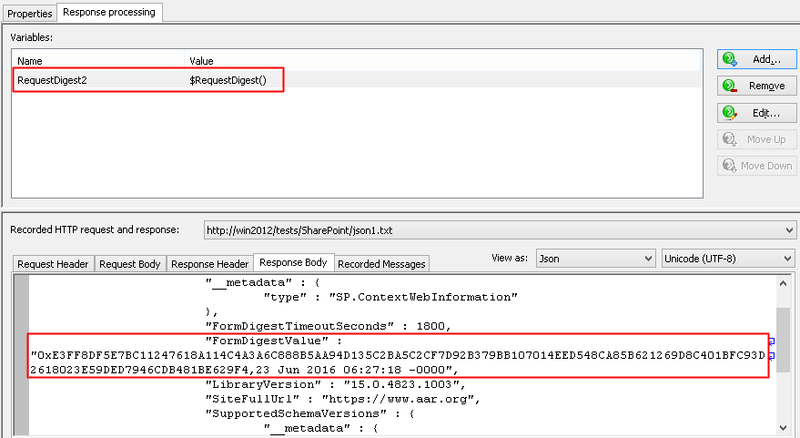 The Module for SharePoint Testing will extract the |__REQUESTDIGEST| parameters from the responses and correctly parameterize them. 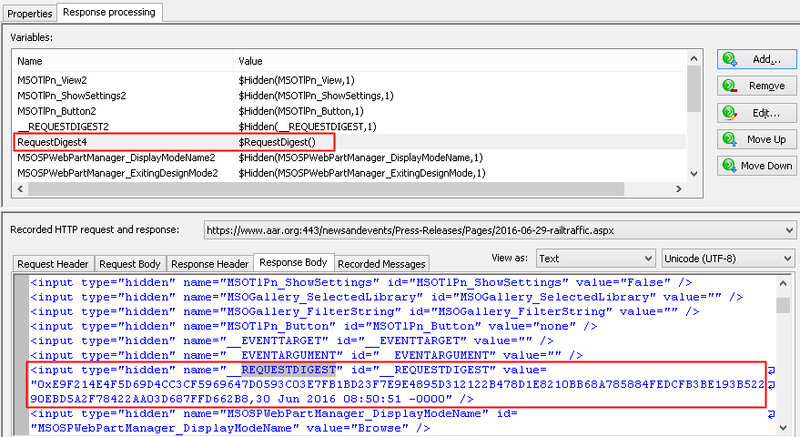 SharePoint uses the Request Digest header to prevent the replay attacks. When you send a POST request to the SharePoint server, it expects to see a valid Request Digest header; otherwise you can probably get a 403 error. All parameterization work is done automatically by the module during recording, so you will not need to parameterize the Request Digest values manually. Note. In the unregistered version of the Module for SharePoint Testing, the maximum number of virtual users for tests designed for SharePoint applications is limited to 20. This limitation is removed when you register the product.